Mortgage applications decreased 11.2 percent from one week earlier. The Refinance Index decreased 15 percent week-over-week. The seasonally adjusted Purchase Index decreased 3 percent week-over-week to its lowest level since February 2016. 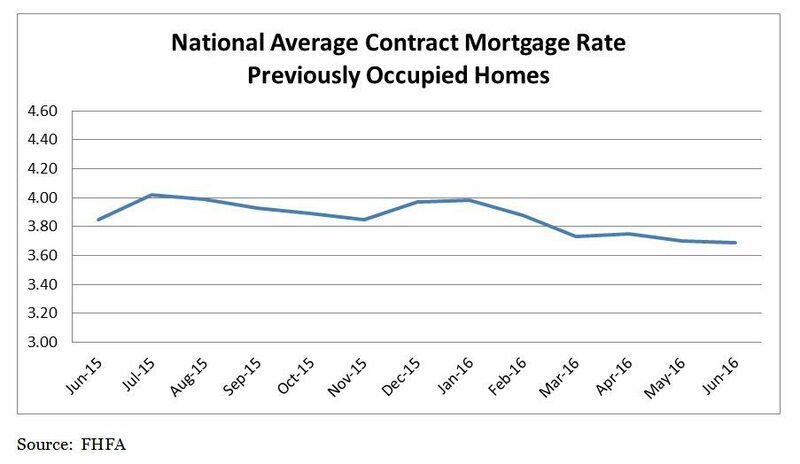 Interest rates on conventional mortgages were little changed from May 2016 to June 2016. The average interest rate on all mortgage loans was 3.70 percent. The average loan amount was $333,900 in June, up $4,400 from May. The national MiMi value stands at 85. This is up 1.05 percent month-over-month and 2.39 percent quarter-over-quarter. Year-over-year, the MiMi is up 7.30 percent.